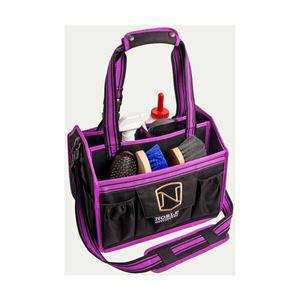 The Noble Outfitters EquinEssential Tote keeps your grooming kit in tip-top order, with perfectly sized compartments, pockets and dividers, all your tools, equipment, sprays, sponges, and shampoos stay organised. This Tote grooming bag has an innovatively designed heavy-duty mesh bottom that allows dirt and liquids to fall through easily. 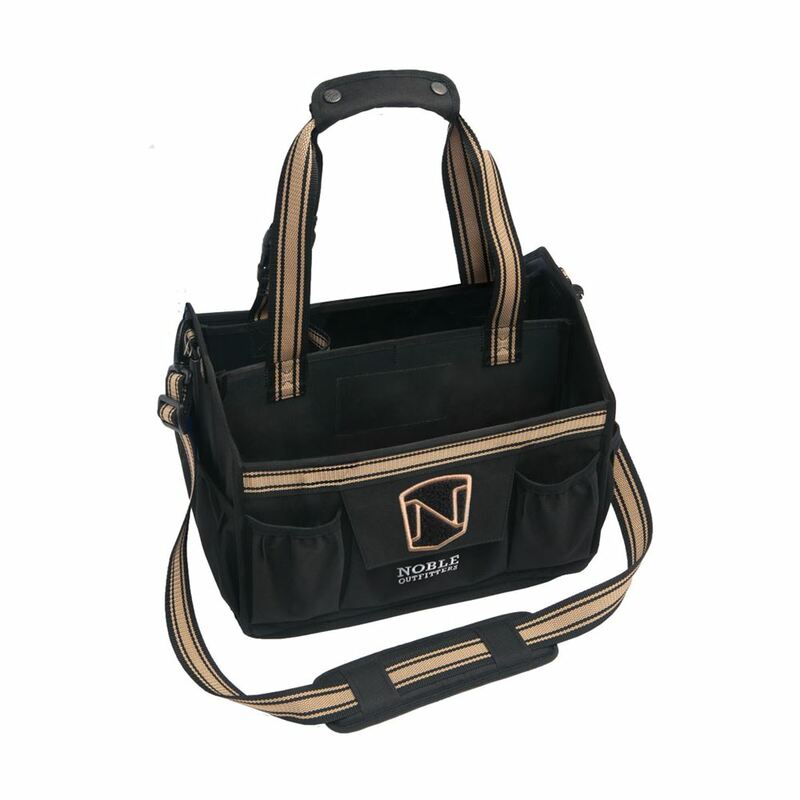 The removable shoulder strap allows for extra convenient hands-free transporting.